11/28/2011 – The movie by Liz Garbus on the life of Bobby Fischer is being broadcast on three days this week by the British TV channel BBC Four. It has a new title, but it is the same film that was premiered in cinemas last April. Since the channel is available to digital television viewers on Freeview, IPTV, satellite and cable, the film can be seen all over the world. Catch it if you can. Considered by many to be the world's greatest chess player, Bobby Fischer personified the link between genius and madness. His trajectory propelled him from child prodigy to world chess champion at the age of 29 and then into a nosedive of delusions and paranoia. Fischer was a recluse for decades before resurfacing for a bizarre final chapter as a fugitive. Veteran filmmaker Liz Garbus's documentary exposes the disturbingly high price Fischer paid to achieve his legendary success and the resulting toll it took on his psyche. Rare archival footage and insightful interviews with those closest to him expand this captivating story of a mastermind's tumultuous rise and precipitous fall. He’s probably one of the most famous chess players in the world and one of the greatest chess players of all time. But sadly he is no longer with us. This movie allows us to relive some of Bobby’s greatest moments both on and off the chessboard – via Liz Garbus’ wonderful directional work, courtesy of Dogwoof productions. Despite Bobby becoming the youngest grandmaster of his time in 1958, at the age of 14, and astonishing everyone with his creative play and incomparable chess understanding, he had his own troubles, which affected his game. This movie not only allows you the opportunity to see footage of this American chess hero but also a chance to try and understand Bobby’s feelings during his rollercoaster of a life. Liz includes interviews with Bobby and those who were closest to him, allowing us to discover the true feelings of his associates. 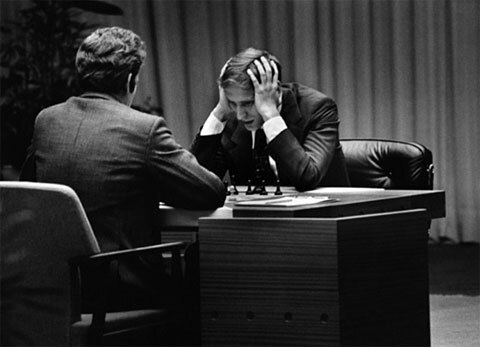 24.05.2011 – Bobby Fischer, one of the most famous chess players in the world, is no longer with us. But he remains in our culture’s memory years after his passing, and decades after he gave America one of its greatest Cold War moral victories. That is the centerpiece of Garbus’s compelling, thorough film, to be released in July. Our reporter Sabrina Chevannes visited the pre-screening in London.